Evernote helps you focus on what matters most and have access to your information when you need it. Input typed notes or scan handwritten notes. Add to-do’s, photos, images, web pages, or audio ... and it’s all instantly searchable. Organize notes any way you want and share with anyone. And Evernote syncs across your devices so your information is always with you, everywhere you go. EVERNOTE PREMIUM - The ultimate workspace. Price may vary by location. Subscriptions will be charged to your credit card through your iTunes account. Your subscription will automatically renew unless canceled at least 24 hours before the end of the current period. You will not be able to cancel the subscription once activated. Manage your subscriptions in Account Settings after purchase. 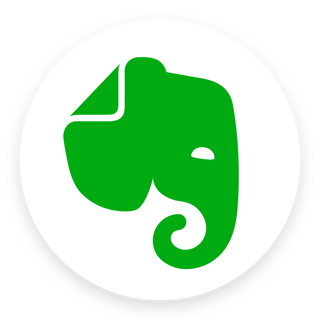 Having been a long time and premium user of Evernote (since Oct 2011) with thousands of notes, I was as frustrated as everybody else when version 8 came out at the first of 2017 and everything was slow and broken. I’d search for a word that I KNEW was in the title of at least a dozen notes but it would slowly grind away then come back with no notes found. I even sent info and screenshots to support to no avail. The pain of version 8 was excruciating. My entire life is in Evernote - medical notes, call schedules, everything. I checked out other options but none had a decent web clipper so the pain of transferring all my notes wasn’t worth it. Fortunately, I had saved a copy of version 7 so just went back to using that. Until last month when the version 7 web clipper stopped working. Reluctantly, I updated to the latest version and - surprise! - everything is great again - just like version 7!! (Except for being able to go directly to a note by first letter of title —- PLEASE PUT BACK THE ALPHABET DOWN THE SIDE!!). I’m definitely not thrilled at the pricing structure, but I am ecstatic that I can keep track of my life and continue to indulge my digital hoarding habit. If I find anything that is a significant problem, I will update this review. In the meantime - come on back! The water’s fine. Again. This is still the best app for my needs, but it has plenty of annoying quirks. I've used Evernote for many years, with over 100 notes covering everything from the grocery list to future work plans to my son's college search. 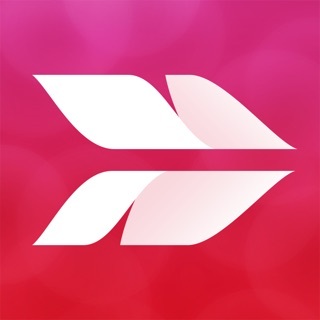 I find it helpful having access to all of these notes from my Mac, iPad, and iPhone, and being able to share certain notes with specific family members or colleagues. None of its competitors offers the same combination of selective note sharing, table creation and editing, and text formatting. Yet there are still quirks. Newly edited notes take a surprising amount of time to be saved, or must be saved manually - if you aren't careful about this and the note is later edited in another device, new versions of the note are created or sometimes appended to the end of the current note without warning you. Evernote on the Mac can change the font in notes, but not on iOS, and sometimes routine copy/pasting on iOS results in text with bizarre fonts that can't be fixed on that device. The use of Apple Data Detectors also means that anything Evernote thinks might be a phone number or calendar event is highlighted like a clickable link - I wish this could be turned off. If you are looking for a company that has accessible customer service, look elsewhere. For many people, we don't realize how important customer service is until we are in a dire pickle, but, let me be the one to tell you, it is VERY important to have the option to speak with someone during those times of need. Evernote, on the other hand, doesn't seem to believe in customer accessibility or satisfaction. When having an issue with my billing account, I attempted to call the customer service number given on my bank statement only to be transferred to a voicemail telling me to leave my email address. The only form of communication they offer is through email or online chat. While that is great for younger people, there are other generations who would prefer speaking with an actual person to help deescalate the issue before it gets out of hand. It is also in their policy to not give refunds. My experience today was joining an online chat, being told there was nothing they could do for the extra $64 in charges they cost me, and to have a great day. I will be checking to make sure that the companies I choose to give my business to have a phone number I can call from now on to know they actually care about their customers. It also says something about a site that has almost as many 1 stars as 5 stars.